PRESIDENT Emmerson Mnangagwa’s government is unfazed by a damning judgment delivered by the South African Constitutional Court early this week that could signal the resuscitation of the Sadc Tribunal, Information deputy minister Energy Mutodi said yesterday. Created as a court of last resort for the region in August 2000, the tribunal made a ruling against Zimbabwe’s land expropriation policy in 2008, a move which triggered a chain of events which led to regional leaders disbanding it in 2014 and creating a separate protocol to only deal with inter-State disputes. The South African court said the move to disband the tribunal was instigated by former President Robert Mugabe. The South African top court ruled that the country’s then President Jacob Zuma’s participation in the disbandment of the Sadc Tribunal and the establishment of the protocol was “irrational, unlawful and unconstitutional”. 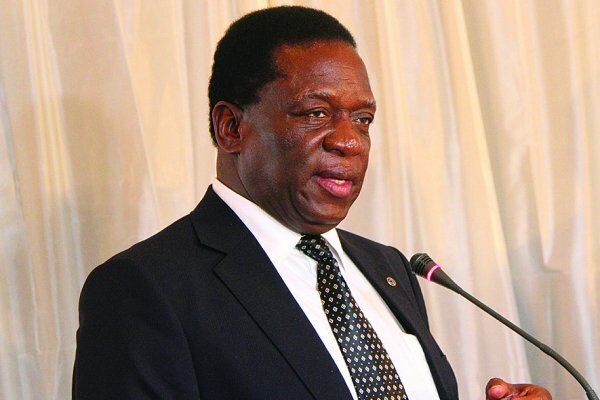 While pressure groups have welcomed the possible resuscitation of the tribunal, Mnangagwa’s government said it remained unshaken, as the tribunal serves no purpose. “Basically, the disbandment of the Sadc Tribunal was as a result of the need to stop the court from interfering with the sovereignty of member States. Sadc is not a State itself, but a grouping of States with a common objective to achieve economic development,” Mutodi said. “That, however, does not take away the fact that each member State must determine its own destiny based on its own constitution. The South African Constitutional Court ruling to compel the South African government to re-institute the tribunal is, therefore, a nullity and of no force or effect [in Zimbabwe], as South Africa alone cannot decide for Sadc as a whole,” said Mutodi, adding Zimbabwe’s land reform was irreversible. He said the re-establishment of the tribunal would just be a duplication of the role played by apex courts in different Sadc countries on issues of the protection of the rights of citizens. He said Zimbabwe would oppose a move to re-introduce the tribunal. “Blacks had to take up arms to re-claim the land and on that basis, Zimbabwe will not support any attempt to re-introduce a Tribunal that tries to interfere with her sovereignty and hard-won independence. That would be a duplication of the roles played by apex courts of member States and their parliamentary bodies,” Mutodi told NewsDay Weekender. Justice minister Ziyambi Ziyambi also dismissed the judgment as “academic”. “I am not sure what the South African government is supposed to do with that judgment because the institution has been disbanded. The only thing they can ratify is the protocol. South Africa is not Sadc. Heads of the State met and agreed, signed the treaty withdrawal and now, the only way out is for the South African government to persuade other leaders to do the same,” he said. The opposition MDC called for immediate steps to re-establish the tribunal, describing Mutodi as an excitable character who is failing to grasp Harare’s policy shift. MDC spokesperson Jacob Mafume said Mutodi was out of sync with Mnangagwa’s public pronouncements and new policy thrust. “This government has told everyone who cares to listen that it wants to change the way it has been doing things. Mnangagwa has told the world that he wants to respect human rights, so it would be folly for anyone to listen to Energy Mutodi, who has a propensity to energetically fail to appreciate issues,” Mafume said. He added that the South Africa Constitutional Court had shown the way in the region regarding independence of the Judiciary. “The tribunal was put in place not for the convenience of governments, but for the protection of the rights of Sadc citizens. It must, therefore, be restored immediately with full powers and its judgments respected,” the MDC spokesperson said. He added that South African courts would have no choice, but to enforce the judgments of the Sadc Tribunal, “which should raise anxiety among our leaders who have an insatiable appetite for everything foreign, including property”. Constitutional law expert Munyaradzi Bwanya said the South African ConCourt judgment sets President Cyril Ramaphosa’s government on a collision course with other Sadc member States and exposes his country’s lower courts to litigation from aggrieved regional citizens. “The judgment opens up the South African Courts to litigation from Sadc citizens who have failed to get justice in their own countries and sets Ramaphosa on a collision course with other member states, in particular Zimbabwe,” said Bwanya, adding if Ramaphosa agrees with the judgment, he would have to navigate a political minefield to persuade other regional heads of State to move in the same direction. He said the judgment was also a potential banana skin for Mnangagwa. “Mnangagwa has told the world that he wants to compensate white farmers because they were treated unfairly, but his government does not want the same farmers to access justice. The existence of disbandment of the Sadc Tribunal and the veracity of its judgments cannot exist exclusive of each other. Mnangagwa cannot accept that the disbandment was the correct thing to do, while telling the world that its judgments were correct,” Bwanya said. The ruling and possible re-establishment of the Sadc Tribunal will likely create a fresh flash-point between Zimbabwe and Western countries, particularly the United States. Under its sanctions regime on Zimbabwe, the US has demanded respect of the Sadc Tribunal’s judgments, among other issues related to the rule of law. The post Govt scoffs at SA ConCourt ruling appeared first on NewsDay Zimbabwe. Leaders cry about their “Sovereignity” but that falls away when they want US dollars then it’s out with the begging bowl ! 83% of the taken farms were bought and paid for in Robert Mugabes Zimbabwe and had certificates of NO INTEREST from the ZANU PF Government. No honour…no loyalty…incapable of keeping your word… Destroyed country…. And somehow this is not Your fault ! No wonder NO ONE will deal with You when You can tear up a contract and move the goal posts to suit Yourself. The Foreign donor Communities are already doing YOUR job and feeding educating and clothing Your PEOPLE ! WHY DONT you just for once try and do the right thing by Your Countrymen ? I agree that resurrecting the Trubunal would be a waste of time and money as no member country would accept an unfavourable ruling. Russia pulled out of its covert sponsorship of the SADCC for the same reason. With all this nonsense and injustice being created and supported by Mnangagwa and his cronies they still beg for investment from successful countries and people. This while countries and people that had invested in Zimbabwe in the past are now told to go and whistle for returns on their investments. Mnangagwa and his cronies fully believe that all their past injustices and thievery should now be ignored and they handed out new large sums of money to do with as they please. Waken up, accept that countries and people able to invest in Zimbabwe know exactly what went on in the past and what is happening now. Play by the rules and you might just score a goal. What a pleasure that would be after your many, many goalless years of cheating.